How to give a Presentation A Crash Course. 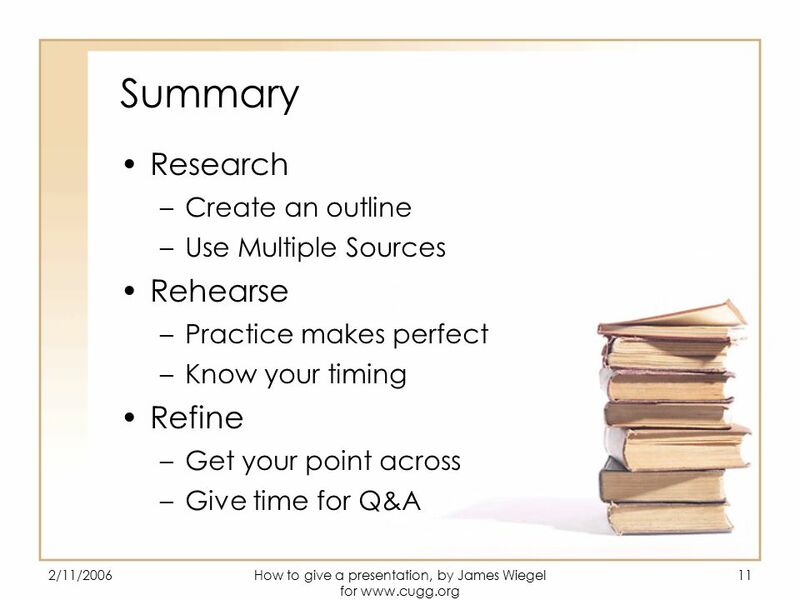 2/11/2006How to give a presentation, by James Wiegel for www.cugg.org 2 Introduction Preparation Tools Of The. 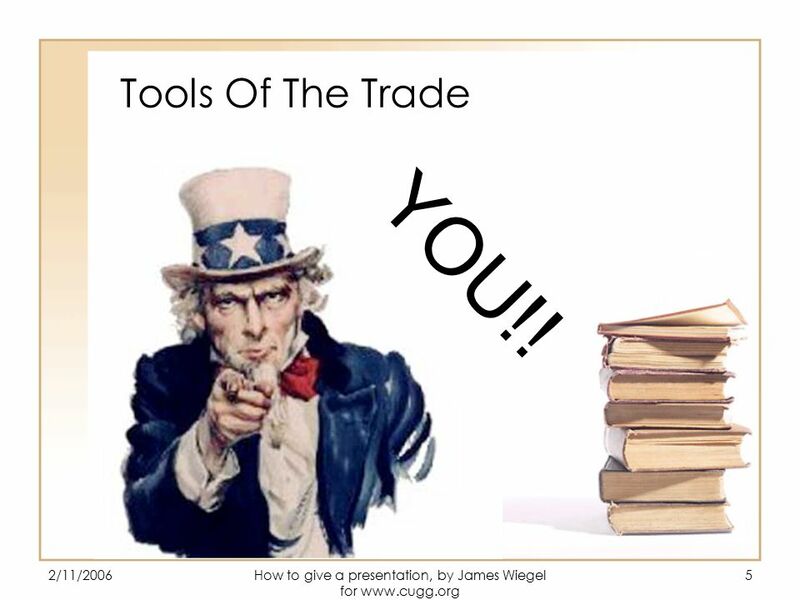 5 2/11/2006How to give a presentation, by James Wiegel for www.cugg.org 5 Tools Of The Trade YOU!! 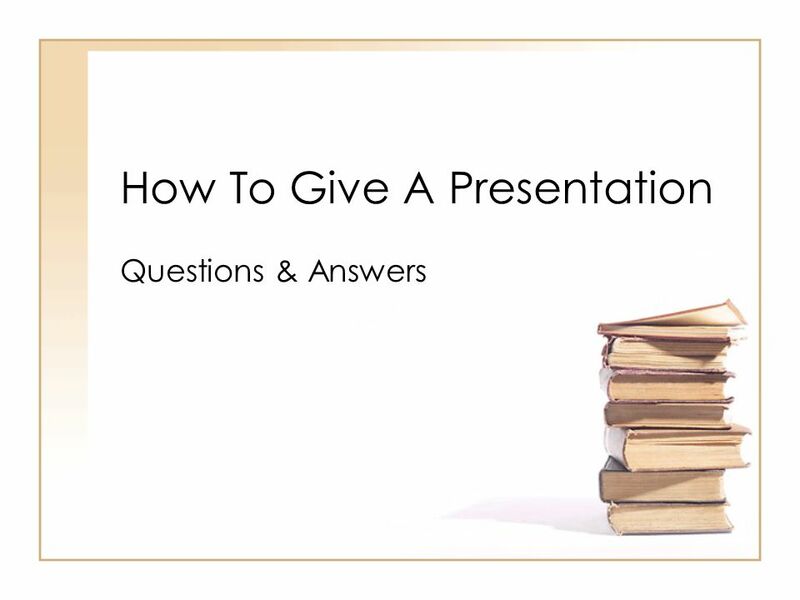 Download ppt "How to give a Presentation A Crash Course. 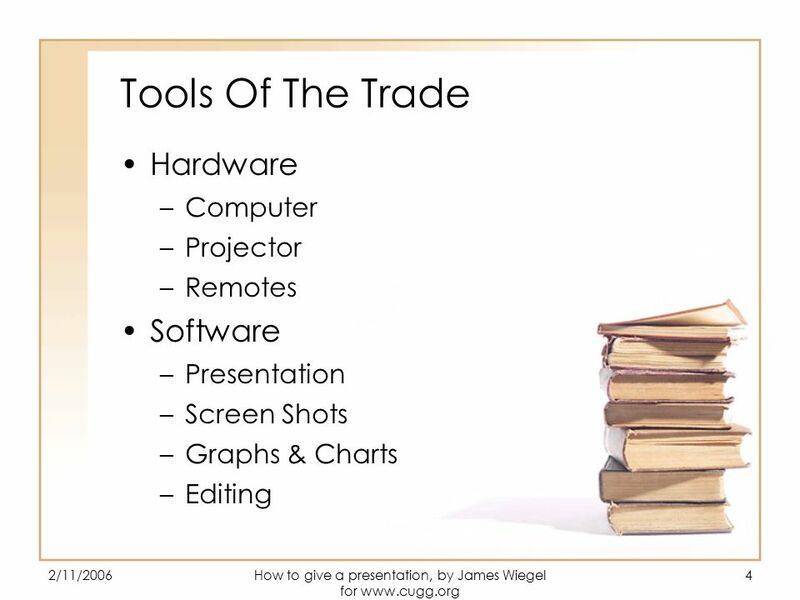 2/11/2006How to give a presentation, by James Wiegel for www.cugg.org 2 Introduction Preparation Tools Of The." PROFESSIONAL PRESENTATIONS Center for Professional Communication.  1 – Course Plan – all 7 modules  2 – Module Plan for each module  3 – Session Plan for each session. Jamilah Al-Saidan, Msc.. 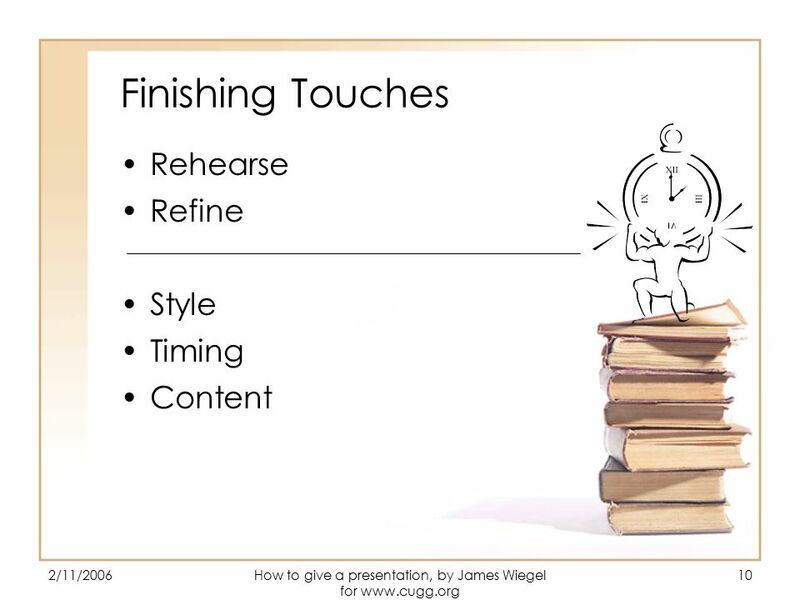 Objectives  Create a simple presentation  Edit slides from normal, slide & outline views  Apply a slide design  Rearrange. 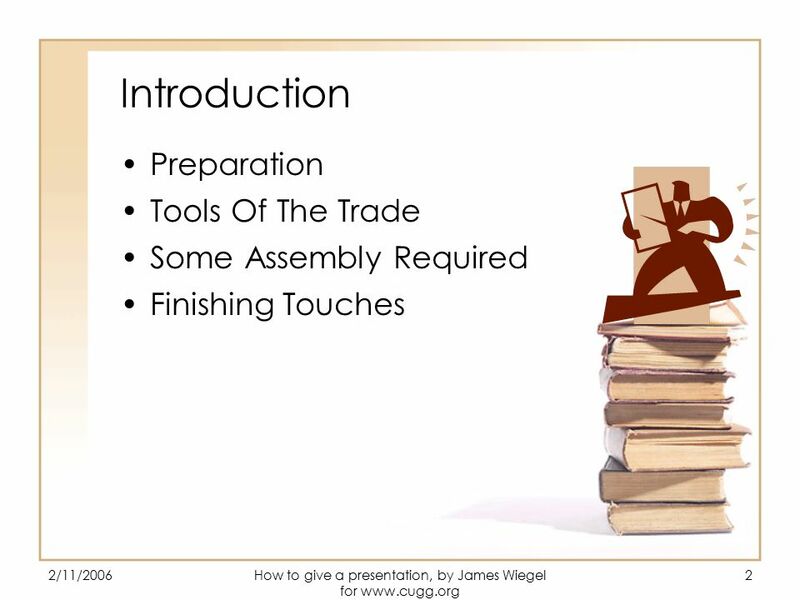 Presentation Skills Type the author’s name and date of presentation here. 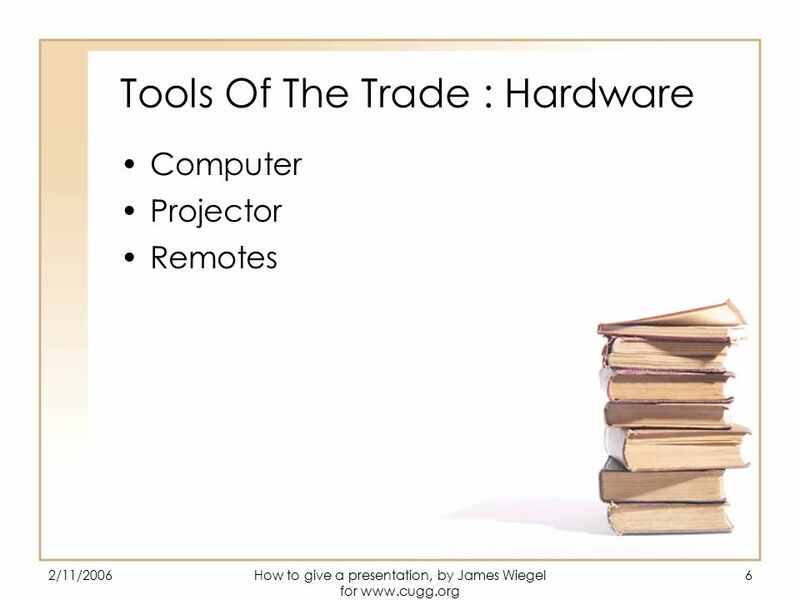 Technology In The Classroom Series Computer Presentations. 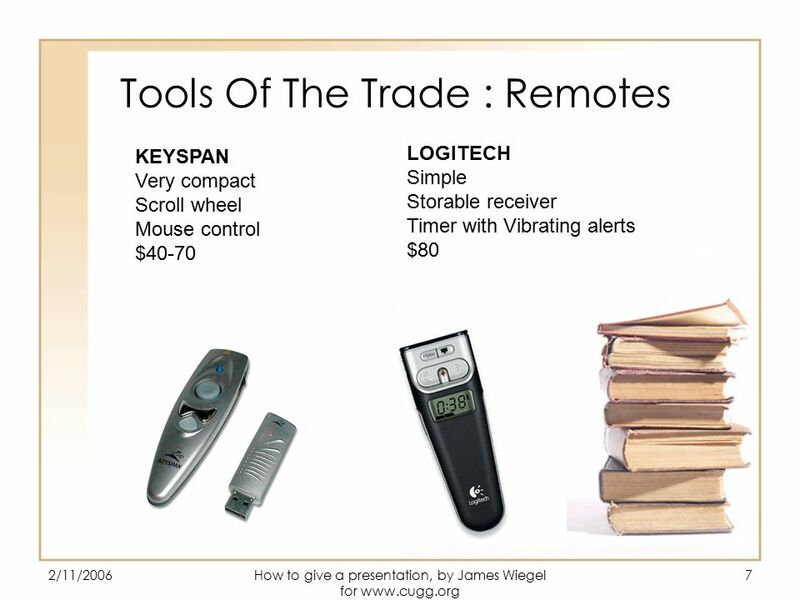  Presentation of new knowledge / skills  Session aims and objectives  Demonstration / instruction  Practice exercises  Review of session  Gives. Computer Science 5 Fall 2004 Module 3 10/1/2004 7:57 AM. Introduction to PowerPoint Robert Grauer and Maryann Barber. 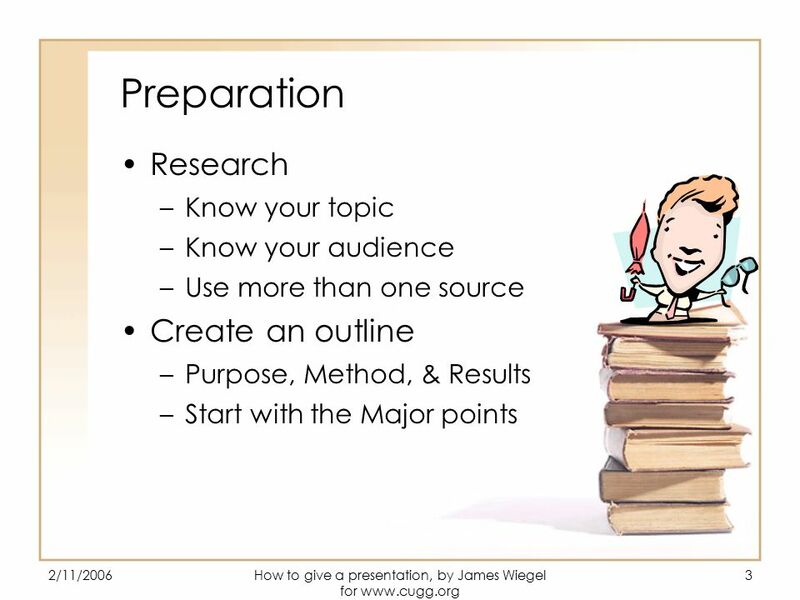 Introduction to PowerPoint By Ian Cole Lecturer in C&IT (Communications and Information Technology) University of York Department of Health Sciences. 11 Preparing a Linguistics Presentation with MS Powerpoint I Mutsumi Ogawa - LG400 Week 8. Computer Science 5 Fall 2004 Module 3 6/28/2015 8:59:45 PM6/28/2015 8:59:45 PM6/28/2015 8:59:45 PM. 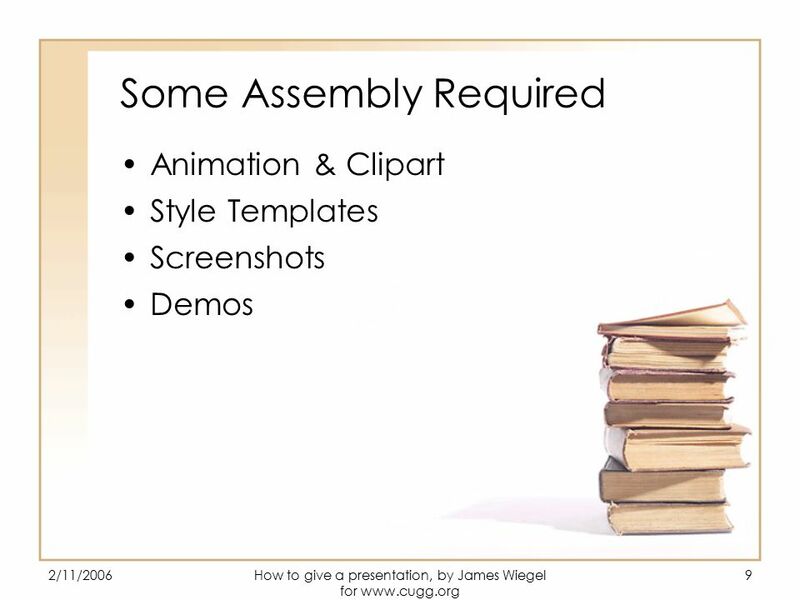 Read Me (Delete this slide.) 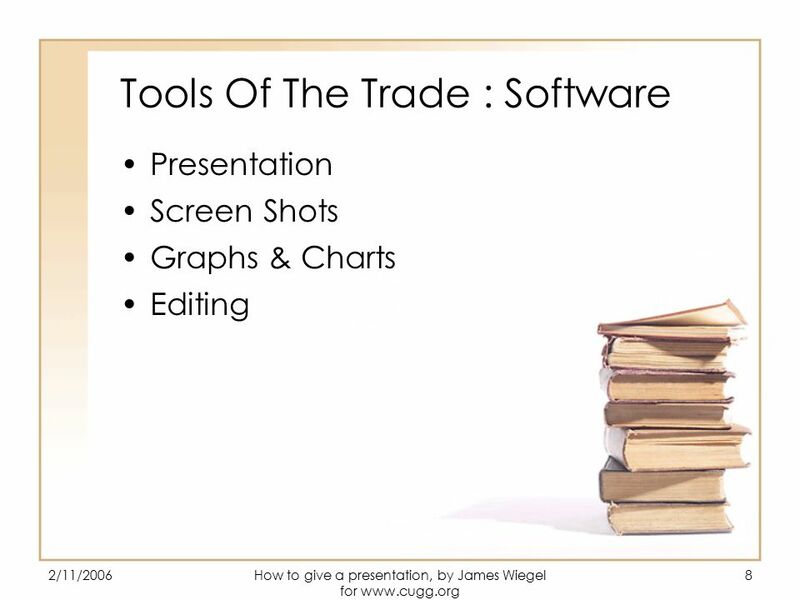 (1 of 2) Presenting  The purpose of the beta presentation is to demonstrate that the software portion of the project is complete.